I did it the unimaginable! I just got back from my mini vacation and during my mini vacation, I did one of the craziest things that have been done on Planet Earth….Skydiving. Despite my nerves, which wasn’t much, it was an awesome experience and I look forward to doing it again…in the distant future. It did not feel like I was falling, it felt like I was flying until the parachute went up, then it felt like I was floating. It was really hard to explain unless you do it yourself. Of course, everyone who decides to skydive for the first time should ultimately do the tandem skydive. A tandem skydive is basically have a more experienced person who has done years of skydiving as well as instructors amateur divers how to dive. Either way, as an artist, this just gives a grand opportunity to see how The Artist see us from above. I cannot wait to portray this perspective in one of my projects, the time will be announced, until I am finished. But I’m not working on that now. Until then, I thank God for my life and that I have lived it to the fullest! 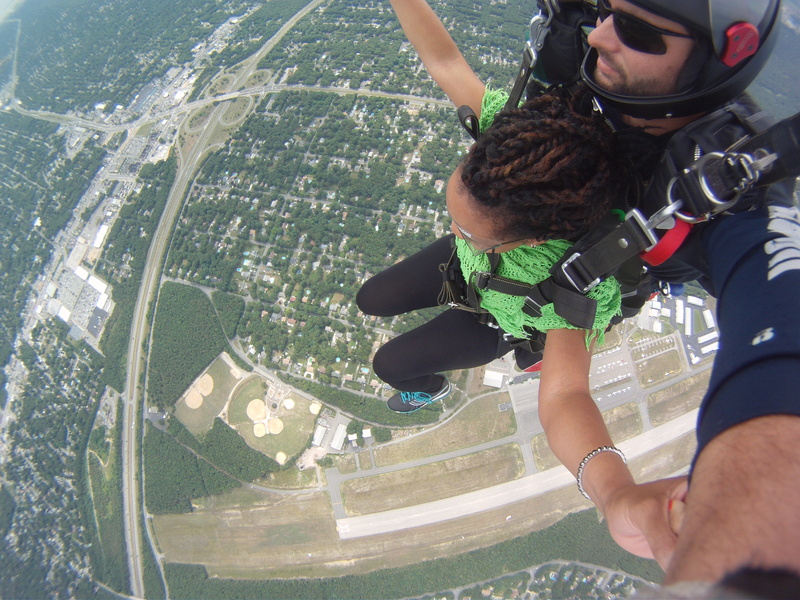 I definitely was prayed up before I even made a reservation for the skydive. 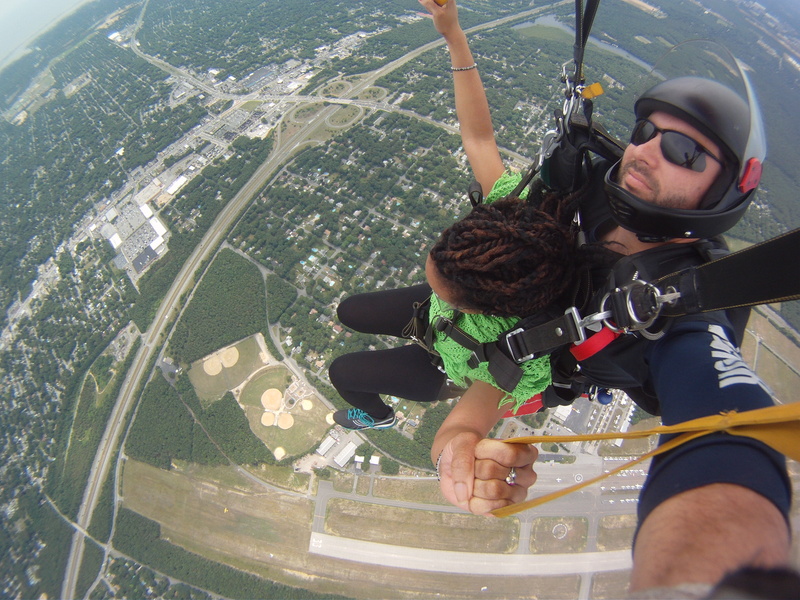 Thank you again Southshore skydive for making this experience possible!